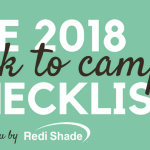 We are starting a new series on Made in the Shade called “Shade Hacks” where we will be featuring quick tips and tricks to use with our Redi Shade products. 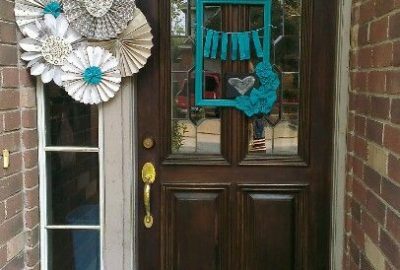 If you have a shade hack you’d like to share with us, snap a picture and tag us on Facebook, Instagram, Twitter or Pinterest. We’d love to hear about it and feature it in our next shade hacks post! 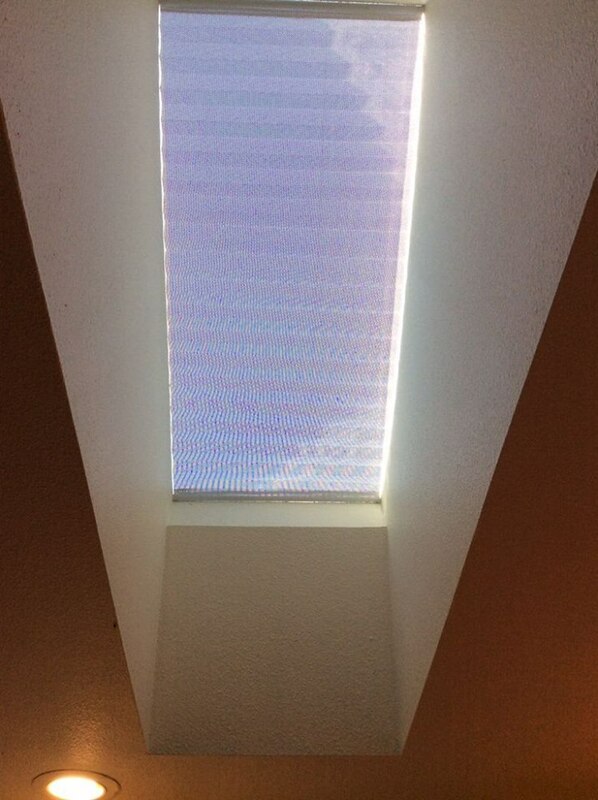 Our Original Pleated shades are not just for traditional vertical windows, you can use them on your skylight too! 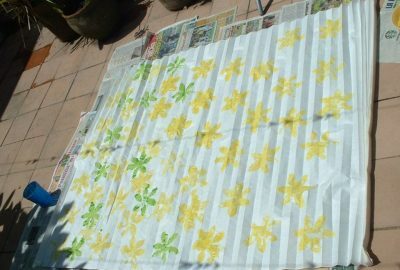 Simply measure and trim to the width of your window, then apply a strip of double sided tape along the bottom pleat of the shade and stick the shade at both ends of the window. 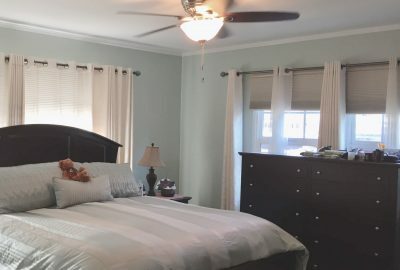 Keep in mind the 72” drop of the shade may be too long for shorter skylights so we would suggest roughly measuring the length of the window and trimming any pleats off the bottom needed to reach your desired length before applying double sided tape and installing. 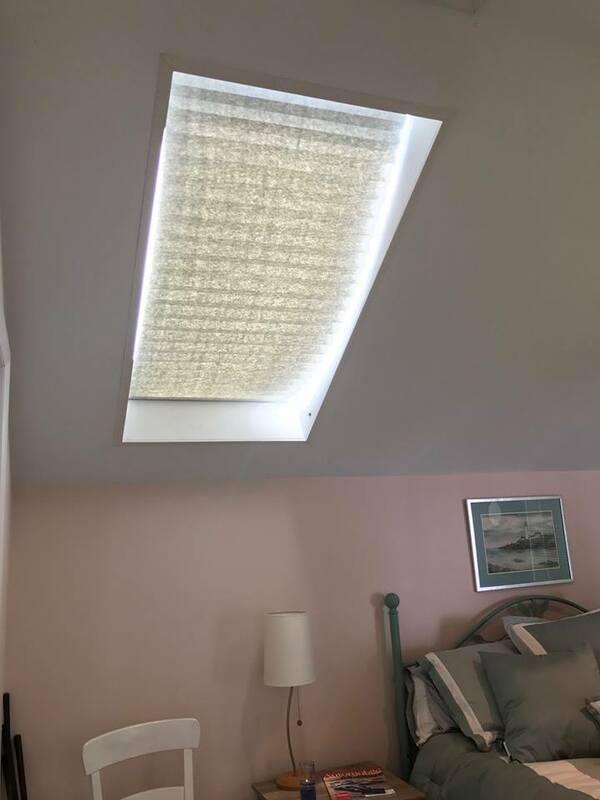 Our Original Light Filtering Pleated Paper shades are a great option for this hack but for those looking to retain the flow of light from their sky light while reducing glare and blocking heat, we would recommend our Sheer View Solar UV Blocking shades. 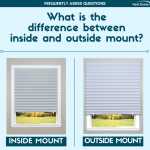 These shades reduce sun glare up to 70% and block 85% of harmful UV rays. 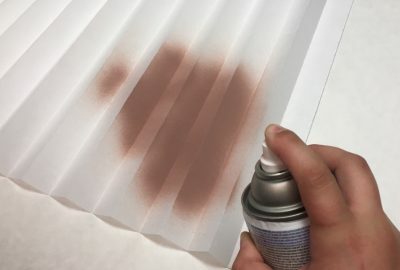 We highly recommend this low-cost hack for anyone looking to softy filter light coming from skylights in their home.